With Ethereum getting close to its first official launch with Frontier, we have spent the last week of February at our holon in Switzerland discussing what the future of the Ethereum Foundation is going to look like. Since the start of the project, one of our primary dreams has been to not just deliver a world-class product, but also build a world-class organization, with quality of governance and transparency suitable for a foundation that would be tasked with helping to organize the maintenance of the Ethereum code for potentially decades to come. To that end, we have taken a number of steps including an effort to hire new administrative staff and an internal branding shift, and now we are officially announcing our search for new members to join our board of directors. First, an introduction to roughly how the foundation is structured now from an organizational standpoint. The Stiftung is the body that is, ultimately, tasked with managing the funds and determining the long-term vision and direction of Ethereum. The foundation is legally controlled by a body known as the Foundation Council; however, a larger advisory group also exists that has been involved in providing input for decision-making. There are a number of legal entities registered in multiple countries across Europe, and these entities each employ the individuals housed in their respective countries. The centers in Switzerland and Berlin are the largest. The Foundation Council is intended to make decisions occasionally and focus on the long term; for day-to-day decisions regarding development an “executive” consisting of myself, Gavin Wood and Jeffrey Wilcke is in charge, with considerable assistance from Aeron Buchanan, Jutta Steiner, Kelley Becker, Frithjof Weinert and others on administrative and security management. We are very grateful for the continued service of the current Foundation advisory board and council, and have had a successful first year under their leadership. However, now that the organization’s scope and size had expanded considerably, we are looking to simultaneously (i) introduce new members to be part of the Foundation Council, and (ii) transition the Foundation’s activities and operations to more closely resemble a mature organization. 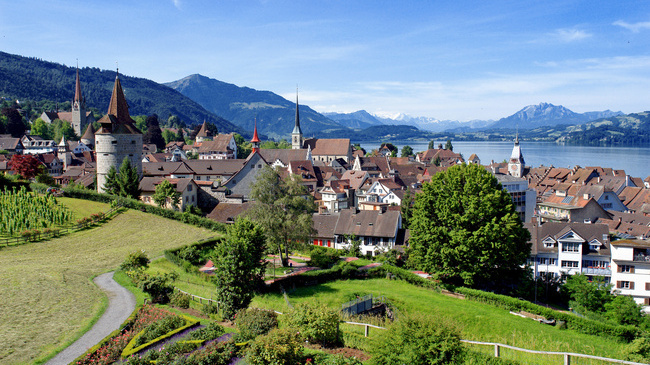 Board members would be required to, at the minimum, come to Switzerland two to five times per year in order to attend official board meetings, where the executive team will provide an update on the current state of the project and we will discuss directions and if necessary pass resolutions relating to the Foundation. Anyone on the board is free to make further contributions beyond this. The new board is expected to be finalized and inaugurated at the end of June. Status as a leader and innovator in a field (for-profit or non-profit) which could be benefited by blockchain and decentralized application technology, ideally outside of the existing "cryptocurrency" space.